Overgrazed range (sagebrush steppe) with all the native grass eaten. 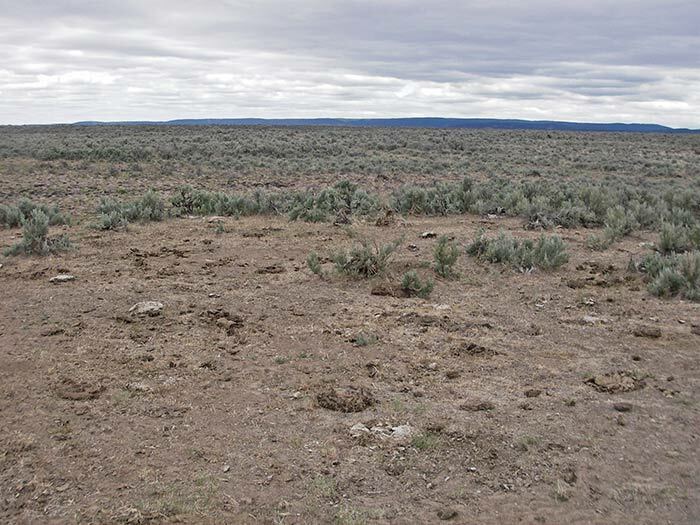 Bare ground, the perfect spot for cheatgrass to sprout and then soon burn, destroying the sagebrush which has already been weakened by cattle trampling. This photo in the Owyhee country (BLM) of SW Idaho was taken this year by Katie Fite. 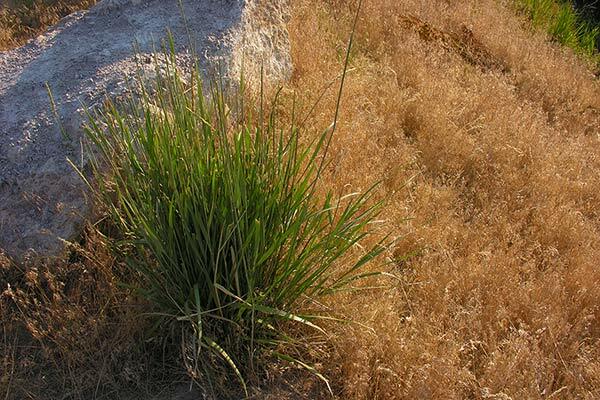 A fair portion of it that has been invaded by cheatgrass is currently on fire.